Indeed, 2014 has been another warm growing season in Washington. Most markers from budbreak through veraison have been approximately one to two weeks ahead of historical averages due to the warmth of the year. “Things started early and never slowed down, pretty much across the board,” Maloney said. As one might expect, the largest impact of the warm temperatures has been on sugar accumulation. “Super high sugars,” said Hillary Sjolund of the winemaking consulting service Enomama. Sjolund, who also has her own winery Sonoris, works primarily with fruit from Red Mountain – typically Washington’s warmest appellation. “I went through 70+ vineyard samples yesterday and, for reds, I couldn’t even find one under 25 Brix right now,” Sjolund said, referring to a measure of sugar accumulation. 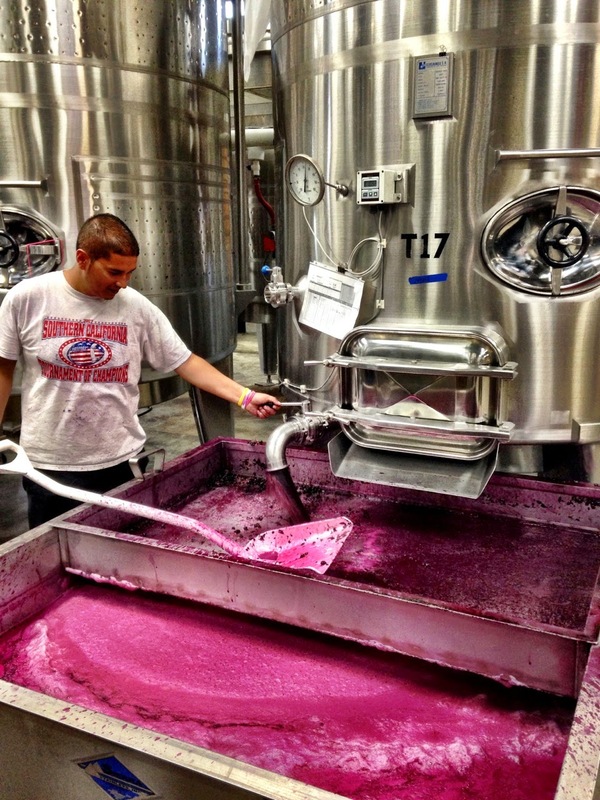 Sjolund said that, to compensate for the higher sugars - and the potentially higher alcohol levels that would result – many winemakers will saignée their fermenting tanks, a process of bleeding off some of the juice. They will then add water back to bring down the alcohol. Winemaker Trey Busch of Sleight of Hand Cellars agreed many winemakers would take the route Sjolund described. “We prefer to make the wine in the vineyard but in a warm vintage when sugars are going up so quickly and you’re waiting for flavors, you’re waiting for seed development, and you’re waiting for tannin development - and you’re dealing with high Brix - those are the things that you have to do,” he said. Busch noted, however, that if done properly, the concentration of the resulting wine is not affected while quality is improved. Differences have also been reported from 2013 in cluster and berry size, with some reporting that they have seen smaller sizes and others larger. “Our own count at Seven Hills, we’re running 20 berries per cluster over last year,” said Marty Clubb of L’Ecole No 41. “We’re also - at least at Seven Hills - seeing berry sizes inflated about ten percent from last year.” Clubb, who attributed this largely to a good fruit set at bloom, said the result has been as much as a half ton more fruit per acre than originally forecast. 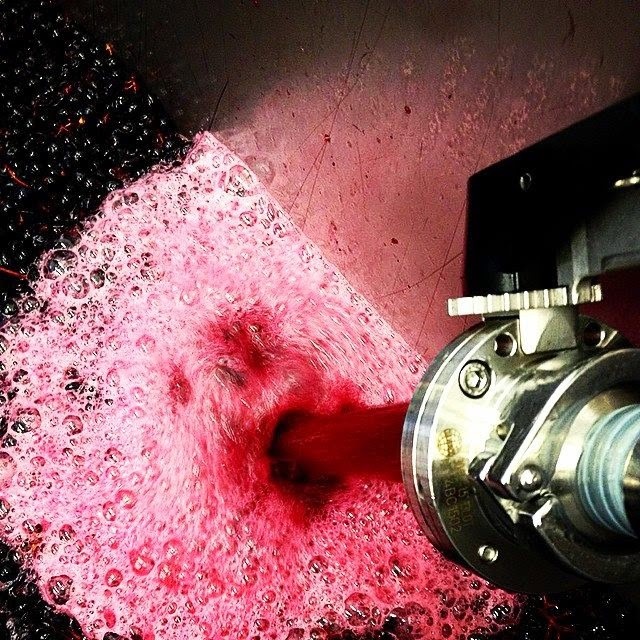 Picture of Red Mountain Merlot pumpover courtesy of Sleight of Hand Cellars (Follow on Facebook). Picture of the first rack and return of the year courtesy of Long Shadows (Follow on Facebook). 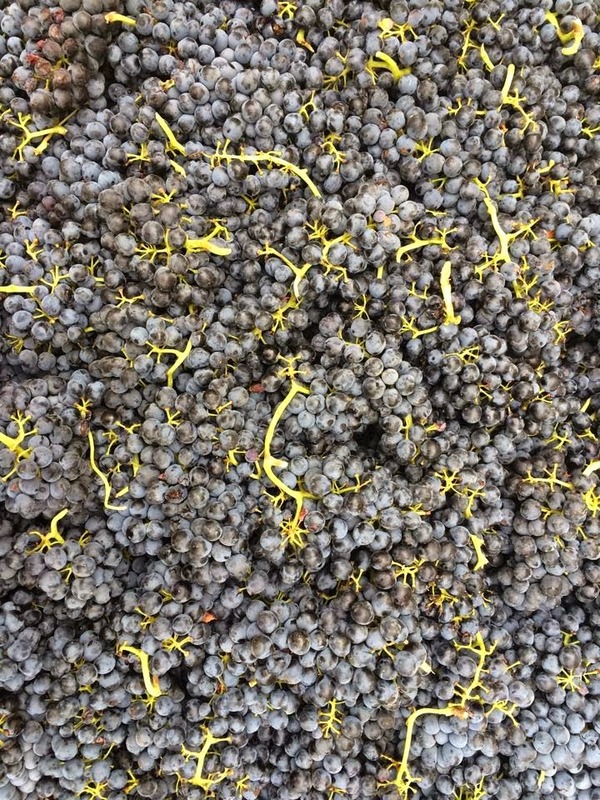 Picture of Merlot bin courtesy of Robert Ramsay Cellars (Follow on Facebook). Off south facing blocks. Three weeks earlier than usual.